If you love to ski during the winter, it’s important to protect and preserve your gear, especially if you’ve invested a lot of money into you and / or your family’s equipment. And now is the time to do it, because we all know that tuning and waxing skis come ski season involves lines, hassle, and the stress of having them ready by opening day. So get ahead of the game! Have your skis tuned and waxed at your ski shop now while lines are minimal to none. Sharpen the edges using the file and edge tool. Repeat until the edge is sharp enough to lightly cut your fingernail (the big flat part) along the edge. Wipe off any filings or debris with a soft cloth. Don’t touch the base edges. That’s a job for a professional. Using an all-purpose wax, apply a 1/8 inch coating to the bases. Let the wax sit for at least two hours. Once the wax is set, strap your skis and store them. Either lay them flat or hang them. When winter returns, scrape and brush the wax away (following the same instructions as in Step 1) and you’re all set! Water-resistant outerwear is often lined with a durable water-repellent (DWR) coating. This is what makes water roll off of your clothes, rather than soaking in. Just like everything else, this protective material doesn’t last forever. Over time and with each wash, the water-repellent deteriorates. The good news is there are faithful and inexpensive washing products and practices that can revive the DWR on your outerwear. Wash your ski clothes separately and only when they really need it, like at the end of the season. You don’t want to store dirty, dank items over the summer. GORE-TEX brand recommends washing outerwear in warm water on a gentle cycle with a liquid detergent. You might also consider adding NikWax for optimal results. NikWax is designed specifically to maintain waterproof and breathable fabrics. Dry on low heat or hang dry. For active skiers, it’s common for zippers to break and tears to develop in your ski jackets and snow pants. To account for this, most high-end brands offer warranty packages that allow you to have your items restored by a certified tailor. Taking your ski gear to a local seamstress for repair is often not the best choice because high-end gear is made with technology specifically designed to protect you from the elements. So, sending your item to an official warranty facility — that can repair your items with exact parts and fabrics — is best practice. Because top ski brands are slammed with work during the, sending an item in for warranty during the winter can be a nightmare that can take months. So, do it now while you’re not using the gear! Before you try to patch that hole or replace the zipper yourself, call the manufacturer to see if your item qualifies for warranty. Obviously you can store your ski gear however you’d like, but might I make a little recommendation… Store all of your ski gear in one place so you can find it next winter! A lot of people store ski jackets and pants in the closet, but everything else – helmets, gloves, neck gaiters, and so on — should go together. Boot bags and ski bags are a great place to store your ski boots, gloves, goggles, hats and helmet all in one place. It’s also important to ensure your precious gear stays protected until next season. Before storing your goggles, place them in a protective bag. I also recommend conditioning the leather palms of your mittens and gloves. Mink oil is stinky, so I recommend Hestra balm, but you can also use other products. If you’re already thinking about gear for next season, Hestra makes a wonderful glove, and all of their products come with leather protecting balm. As for your ski boots, thoroughly dry them, buckle them, but not too tight, and store them away from sunlight and heat. If you’re thinking about replacing your gear, we recommend selling to your local used sports retailer and checking out our excellent ski packages here. There you have it: spring cleaning for skiers. 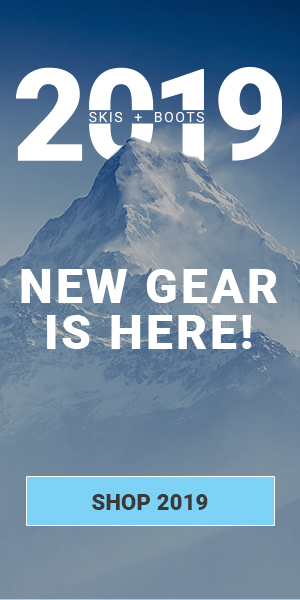 If you would like to learn more gear tips and shop all the latest brands, please visit Skis.com.